Santa Rosa at work. 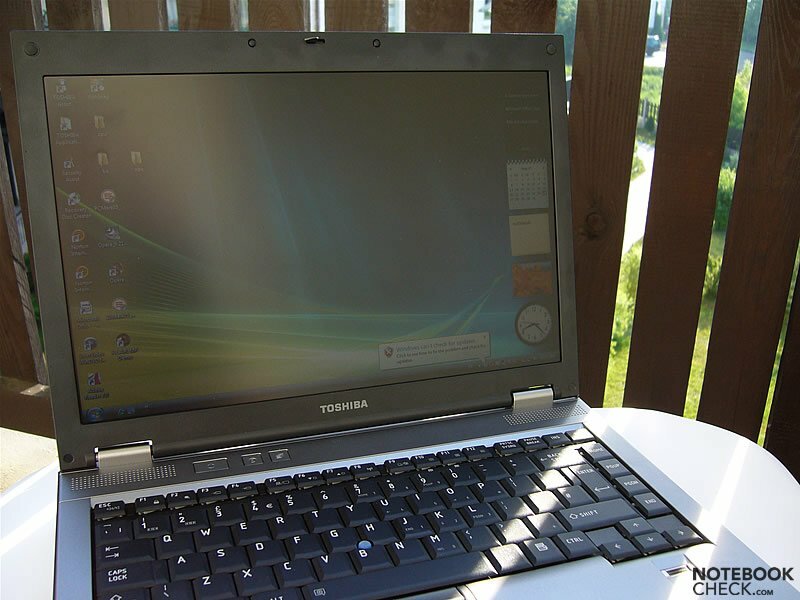 The Tecra M9, presented in May 2007, utilizes the new Santa Rosa technology and is a mobile computer for businessmen. Being equipped with a 14-inch matt screen, and weighing only a little more than two kilos, it should be ideal for hardworking businessmen. 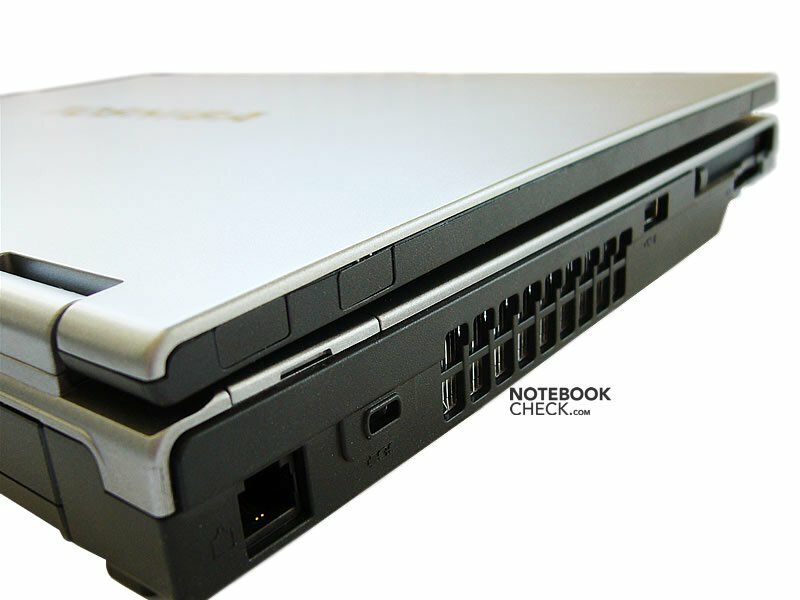 Furthermore, it's equipped with an up-to-date powerful Core 2 Duo T7500 processor. Toshiba is very consistent in designing its laptops. The Tecra series evolves gradually, without revolutionary changes in the appearance. The new models based on Santa Rosa (M9 and A9) do not only look very similar to each other, but, also resemble the old M6s or A8s. First of all, the traditional, decent silver-and-black colors were retained unchanged - after all, it's meant to be a business notebook. The most striking detail of the design is the large-lettered 'Toshiba' logo on the display cover. Well, it's a matter of taste, but, we liked it. 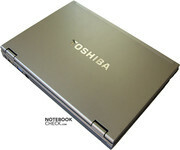 Till now Toshiba's logos were very decent, but, some advertisement is needed in todays business-world. The primary design idea was to make the Tecra M9 as square-shaped as it can be. 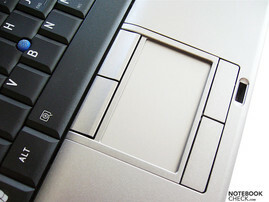 The edge of the case is rounded (in order to provide the user's hands as much comfort as possible), but, the front side is quite high and right-angled to the top side. The shapes of the touch pad and its buttons are strictly linear, and unlike older Tecra models without curves. 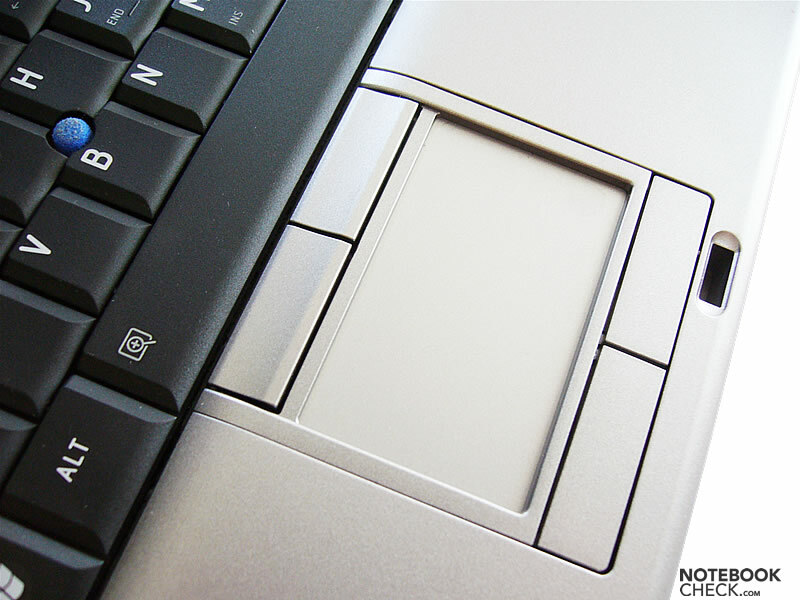 The power switch and two hot keys are quadrangles with rounded edges. 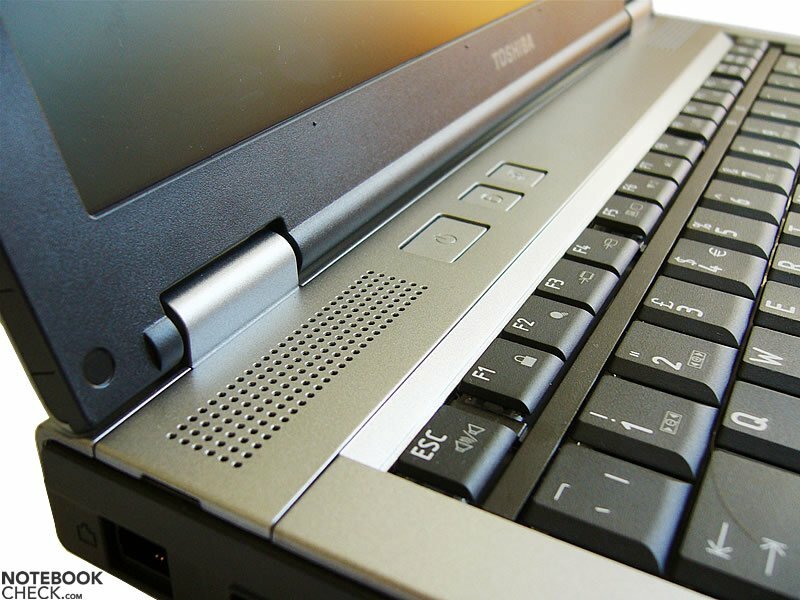 The keyboard is again strictly linear and also the perforations of the speakers' covers form two rectangles. 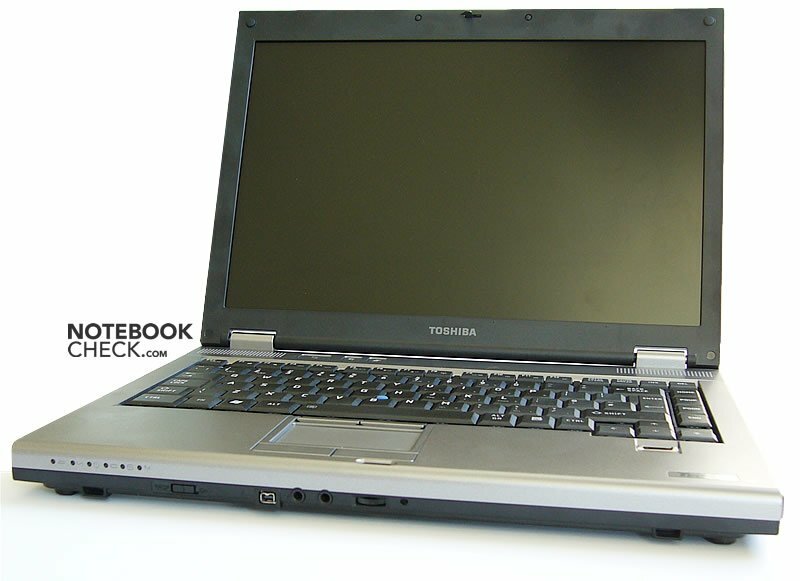 This is the second Tecra model we reviewed, and for the second time we reviewed a very worn notebook. To be precise, somebody buckled the display cover at the left-hand side. 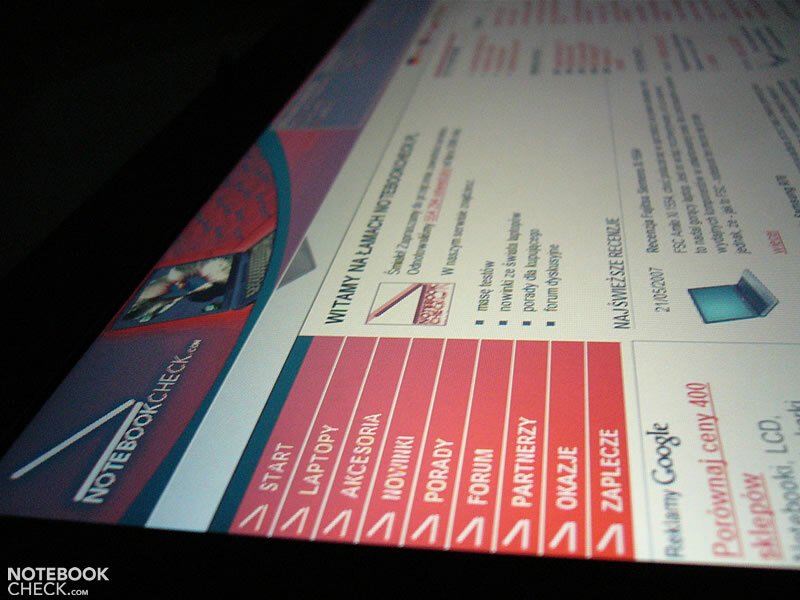 A 0.5cm gap between the closed display cover and the base unit persisted. Nevertheless, the display worked perfectly well. The only problem was that the left hinge creaked when we adjusted the displays position. Furthermore, the display cover yields clearly under pressure. 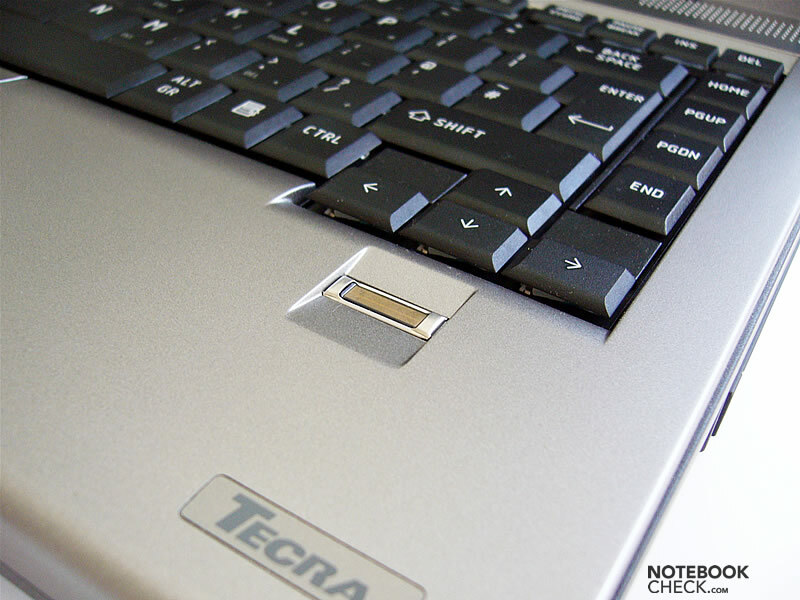 Also near the optical drive the Tecra M9 is sensitive to pressure. The bottom side of the Tecra M9 is very perforated. The hinges allow a slight see-saw after adjusting the display's position. The closing mechanism consists only of one bolt, which can be released quick as lightning by an user-friendly latch. 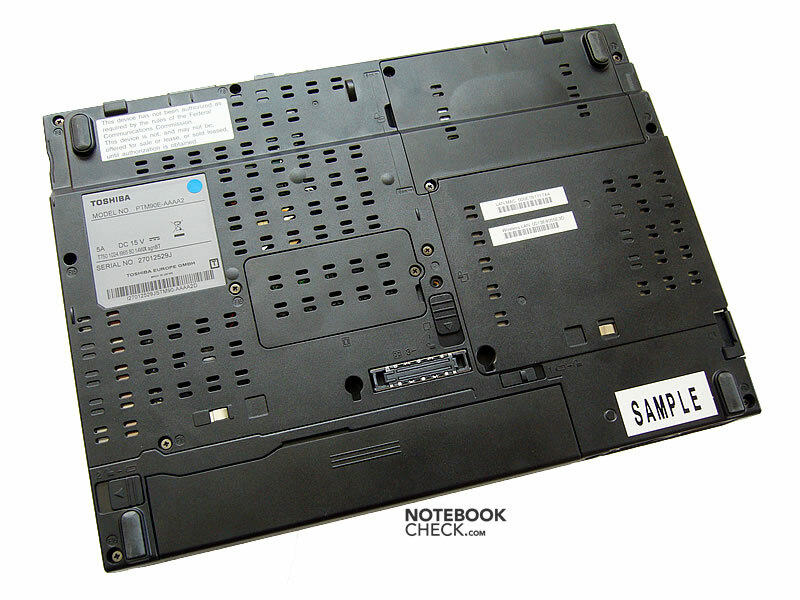 It's also worth mentioning that it is, typical Toshiba notebook, difficult to remove the battery. 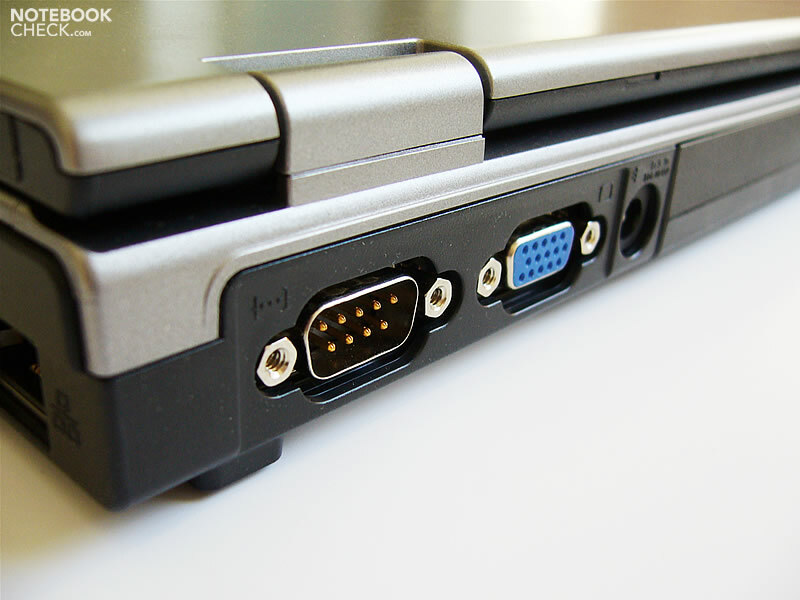 The provided interfaces include a serial port. 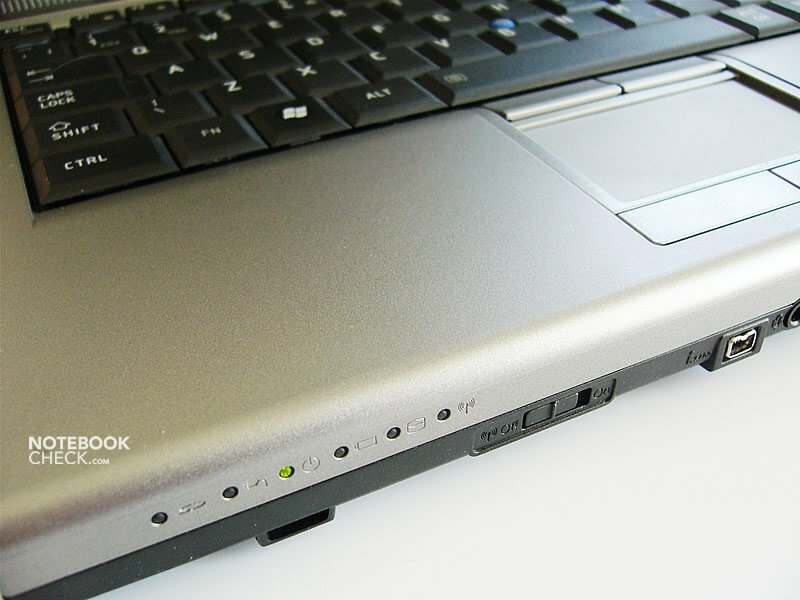 A FireWire port was located at the front side of the notebook. Those who would like to attach an external hard disk to it, won't like this position. However, it's a good position to connect a digital camcorder. 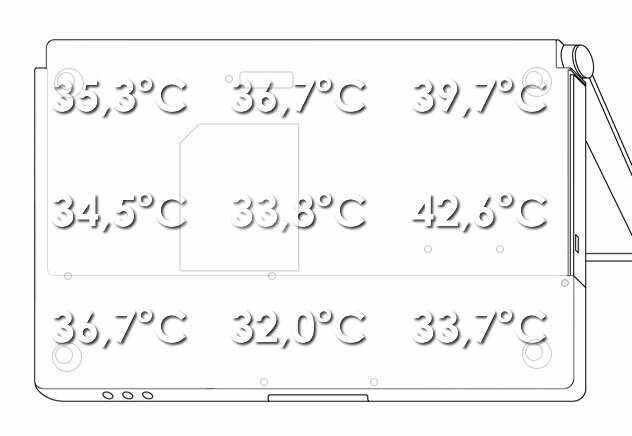 All three USB ports are placed on the sides: one in the middle of the left, and two next to the front of the right side. 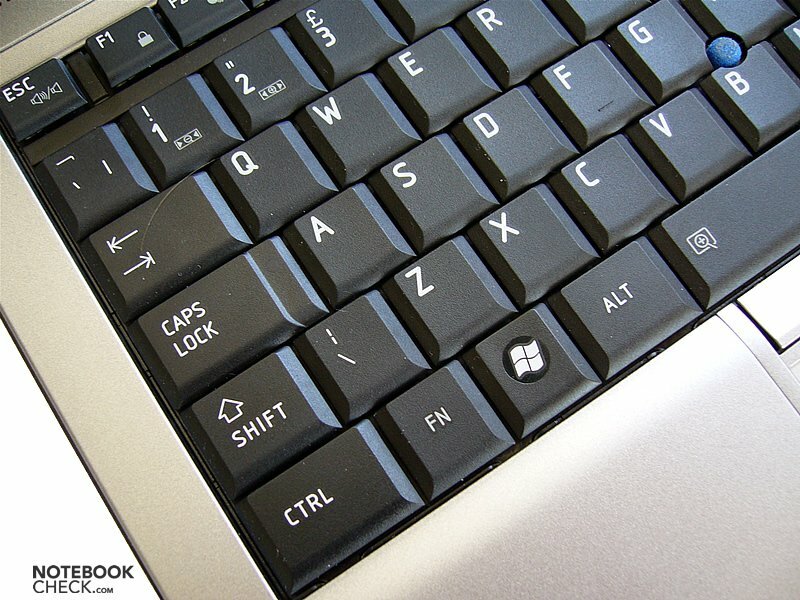 One of the keyboard's characteristic is a somewhat long, springy travel, and a hard stop, proportional to the applied force. 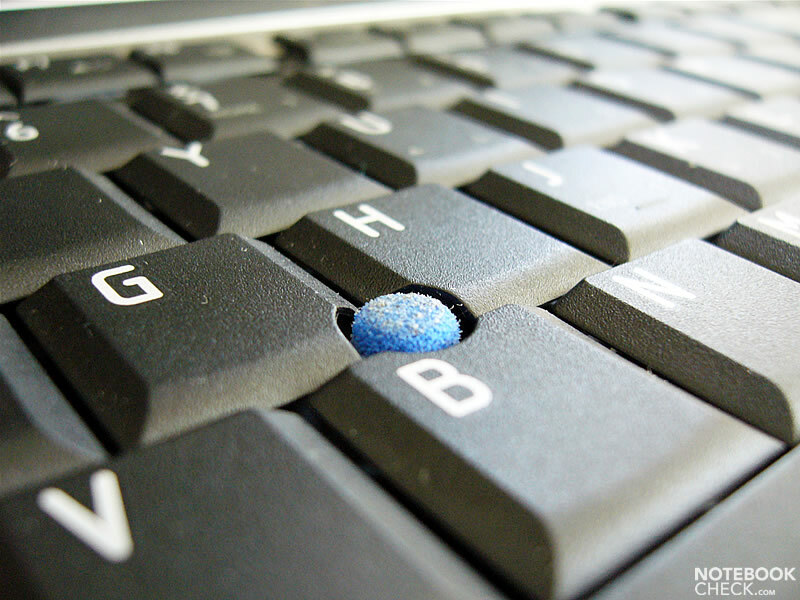 Thanks to these qualities fast typing is user-friendly. 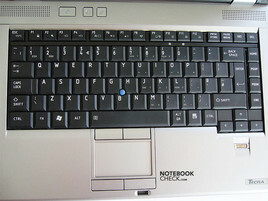 However, the space bar is noisy and the Enter key's left part is lowered. The touch pad is one of the available mouse replacements. Its surface is quite big, but, its sliding properties, response, and precision are not perfect. Alternatively, also a track point is provided. It is not very precise, though. Furthermore, dirt easily adheres to its surface. 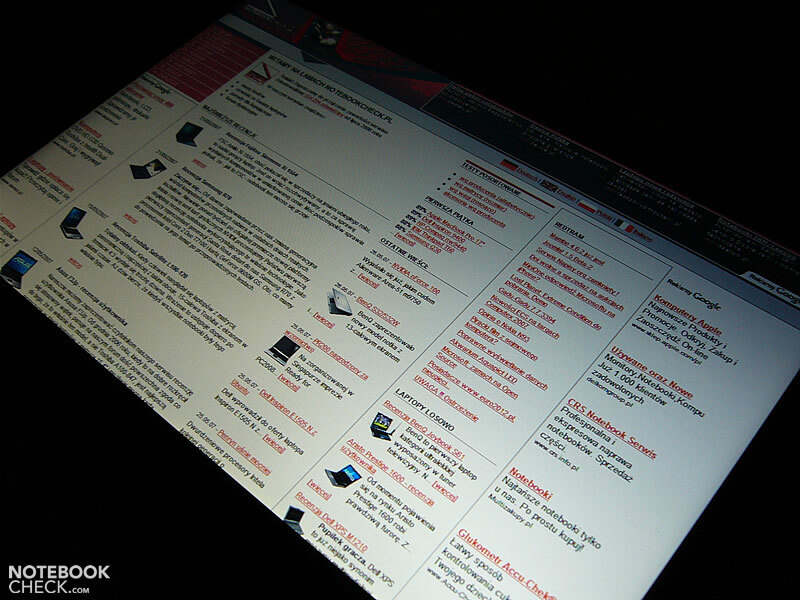 The reviewed Tecra M9 model was equipped with a 14.1-inch WXGA (1280x800) screen. 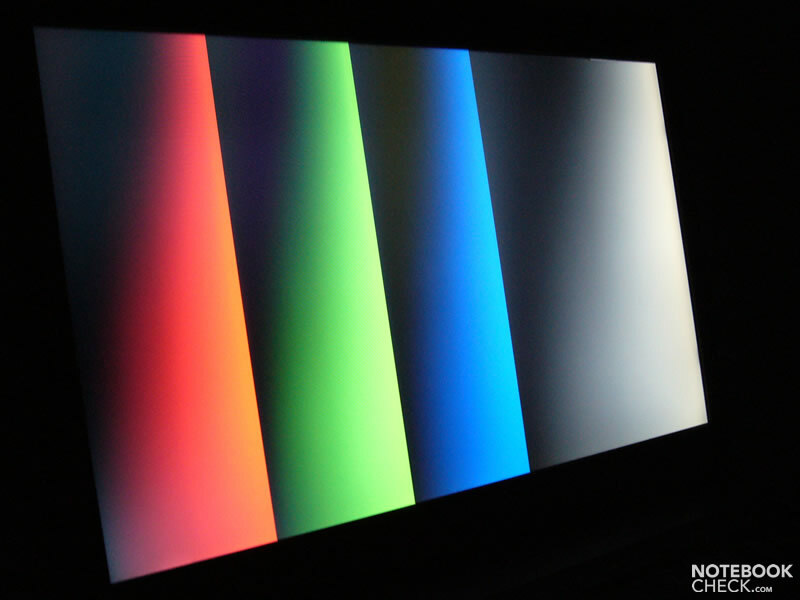 Alternatively, it can be also equipped with a WXGA+ (1440x900) display. 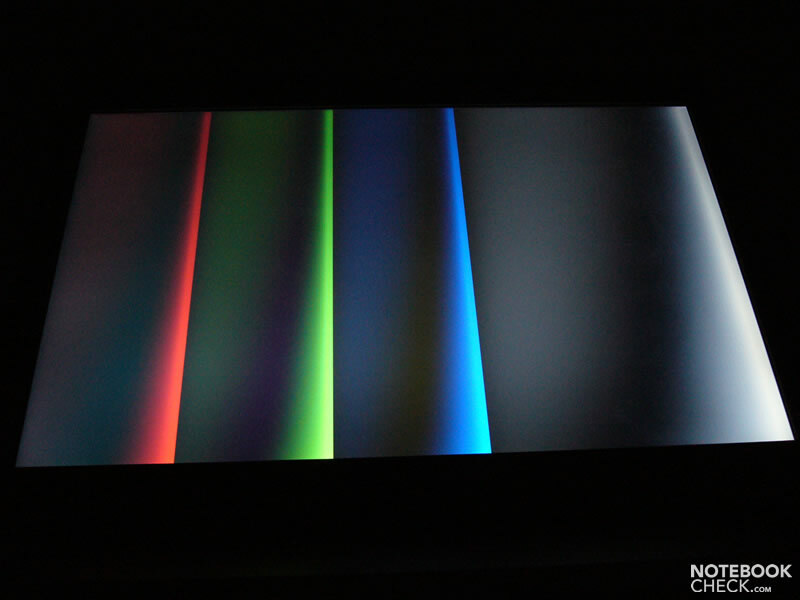 The reviewed display had a matt surface. Our measurements let us assume that it is the same panel also used in the Toshiba Satellite M100. The maximum brightness of 151.7cd/m² is good, the average brightness of 133cd/m² is only average. So, this screen is not ideal for outdoor operation, although its surface does not reflect. The illumination amounts to 78.3%. The stability to the vantage point is, especially vertically, rather poor. Vertically, the picture darkens if looking from bottom up and whitens if looking from top down. 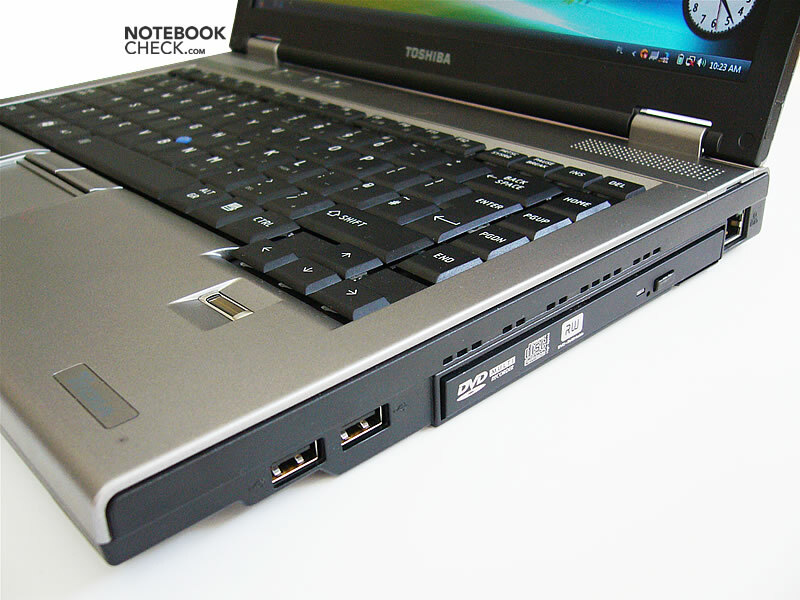 The reviewed Tecra M9 was equipped with a T7500 processor, which belongs to a new series of Core 2 Duo processors. It's a powerful CPU with a clock rate of 2.2GHz and 800MHz FSB. 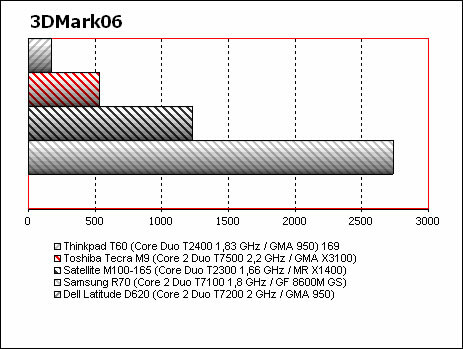 The diagram below depicts a comparison of the Tecra M9's T7500 Tecra M9 to the slightly slower T7200 built-in a Dell Latitude D620. 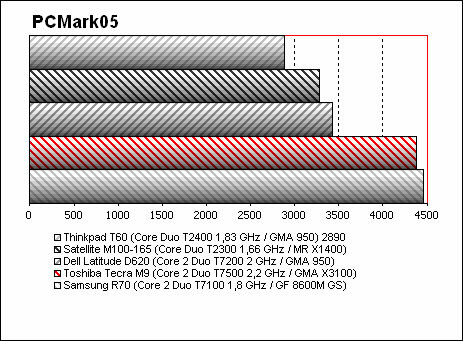 The new processor exceeds the performance of the older one by at least a quarter. The performance of the integrated GMA X3100 solution, outperforms the integrated GPUs by ATI and its predecessor by Intel, the GMA950, by about 50%. A conflict with Vista made it impossible to start demo versions of some games. A Tecra M9 version with a dedicated NVIDIA Quadro NVS 130M GPU is also available. The Fujitsu 80GB hard disk has a satisfying data transfer rate, but its access time lags behind the fastest drives on the market. After turning the computer on, during system start, the fan is quite audible. After it finally calms down, you can only hear a quiet (32.9dB) humming. Hard disk access is not noisy. The noise level stays at 33dB, if it is accessed. As soon as an application is started, the fan starts running right away (35.6dB), but, luckily it calms down in the very next moment. 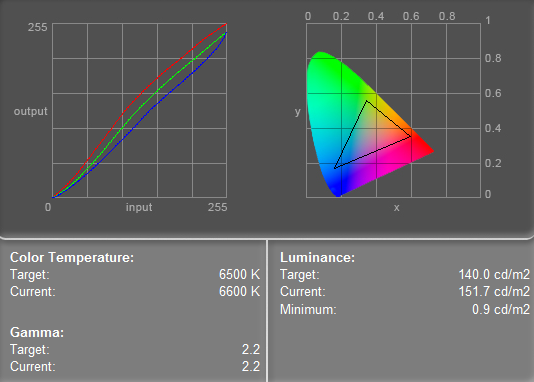 While watching a DVD, the fan is always running and quite loud (40dB). Under load, the ventilation system's behavior is dynamic, changing its speed abruptly and often. The fan can get very loud, we measured a maximum of 47.8dB. Thanks to the intensive effort of the cooling system, the case of the Tecra M9 doesn't excessively heat up. This is important for mobile use, because, the user likely puts its notebook on the lap quite often. In idle mode (without load) the bottom and the top side stayed rather cool, whereas after some time under load, the case became only slightly warmer than a human body. The maximum measured temperature at the top side of the base unit reached 38.5°C, and 42.6°C on the bottom (close close to the vent holes). The speakers are not bad and the maximum volume is alright. However, the lack of basses is evident. The high tones, on the other hand, are rather clear, even at maximum volume. The 50.8Wh battery's capacity is not sufficient for a long unplugged work with the powerful CPU. Under maximum load the battery runtime is very short, it does not even last an hour. The measured maximum runtime was above four hours. 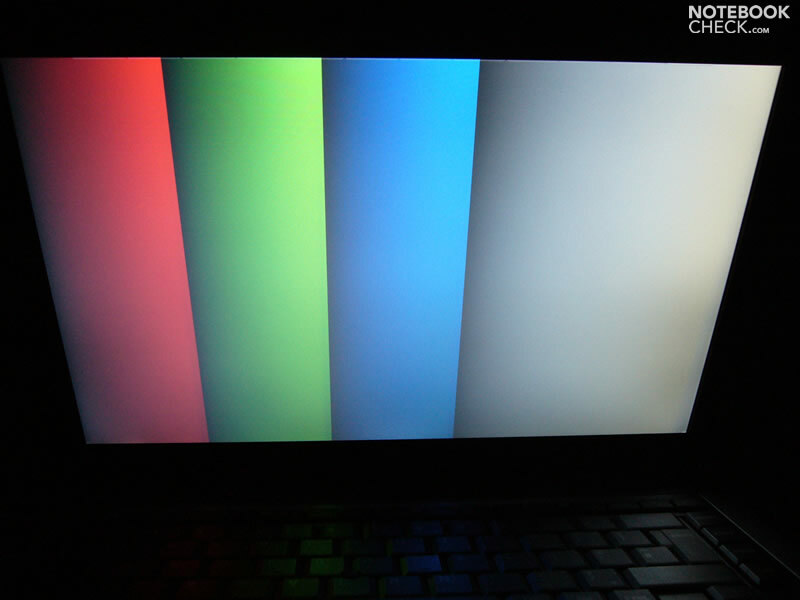 This runtime is reached with minimum brightness, which is not proper for regular work. 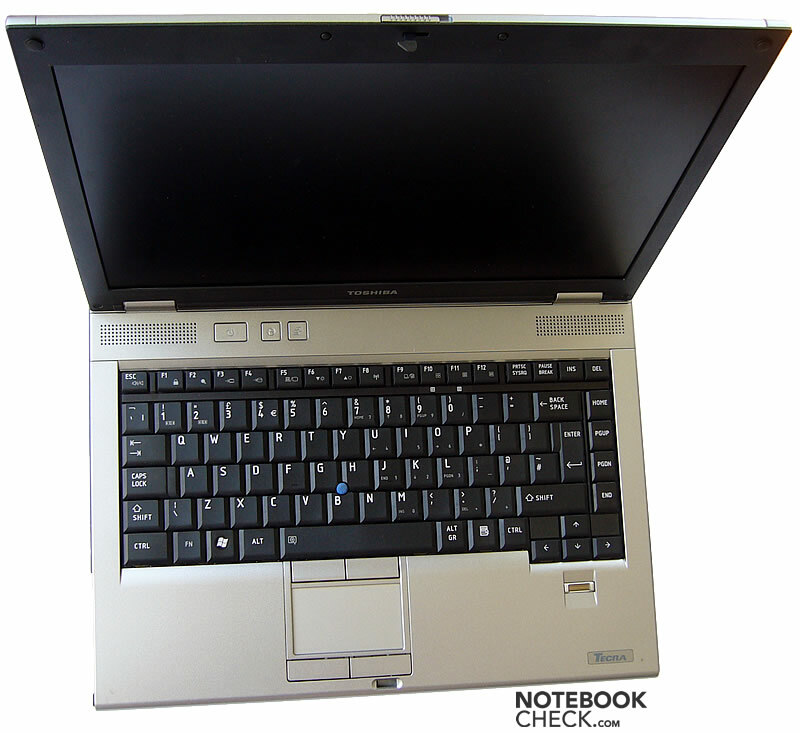 Besides a slightly modified case, the appearance of the Tecra M9 stayed the same compared to other Tecra notebooks. 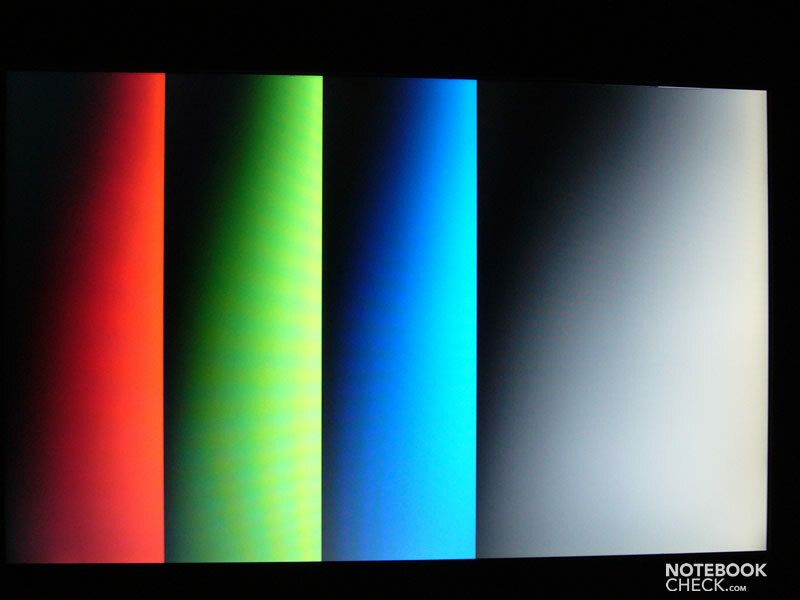 Even the chosen display is already known from older Toshiba notebooks. The most significant changes concern the hardware, which is based on the Santa Rosa platform. The case of the Tecra M9 is robust and shouldn't disappoint. In contrast to the advertisement, the keyboard isn't properly spill proof. A Tecra A7 didn't survive such a test one of our readers saw on TV. So, take care. The biggest weaknesses of the Tecra M9 are its noise emissions, the short battery runtime under load, and the imprecise pointing devices. 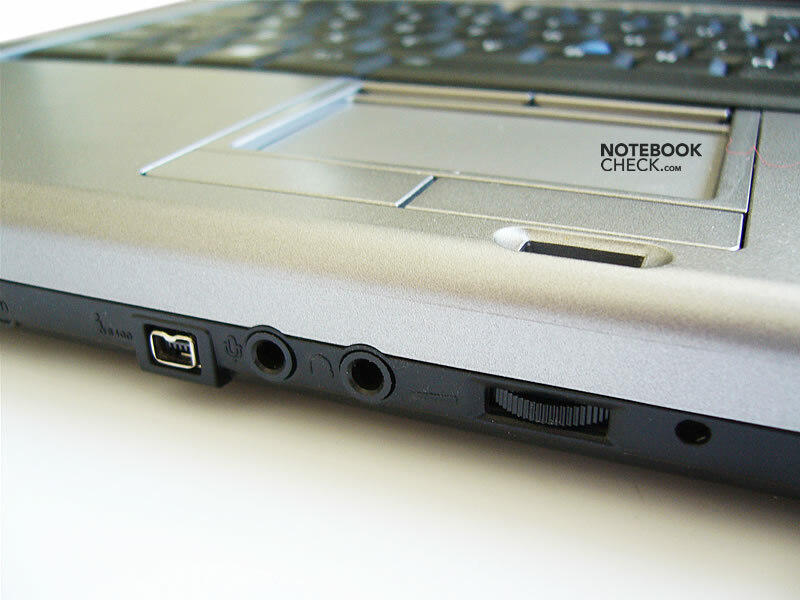 Thanks to our partners of Notebookcheck Polen, who reviewed this notebook. The new Tecra M9's design is quite similar to older models of its class. The fan can get very loud under load. The track point is not very precise and its surface is not ideal. 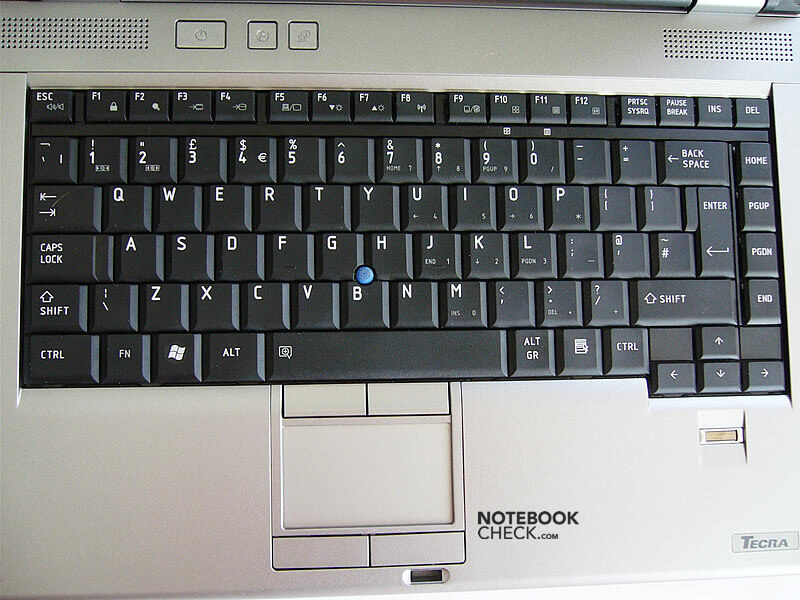 The space bar is loud, and the enter key of the reviewed notebook showed clear signs of wear. 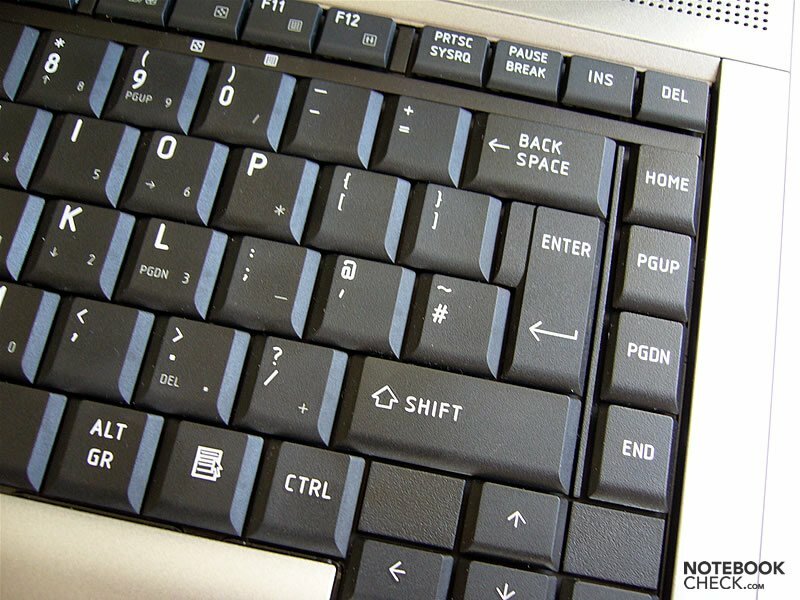 Typing with this keyboard is user-friendly. The FireWire port is located at the front side, depending on its use, this place is not ideal. A serial port is also provided. So, the left hinge creaks. The reviewed notebook was already worn. 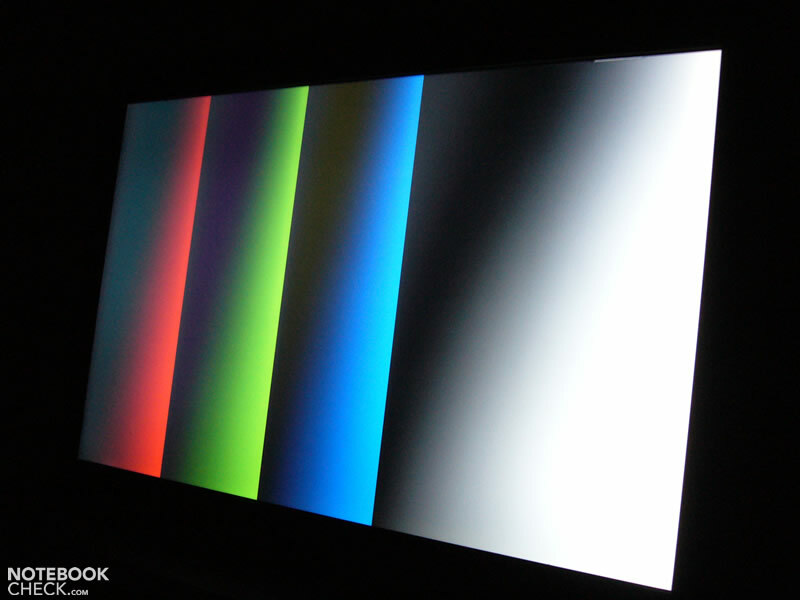 The display was considerably buckled at the left-hand side with a 0,5cm gap between it and the base-unit. The height of the Tecra M9's case is big. 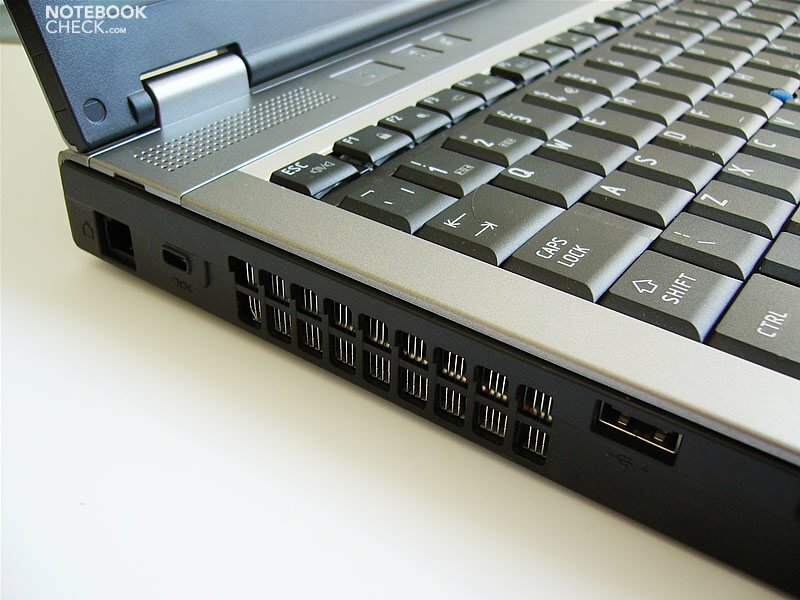 A fingerprint reader is important for business notebooks. The rectangle is the primary form of this design. There are, e.g., a right-angled front side and rectangular mouse buttons. 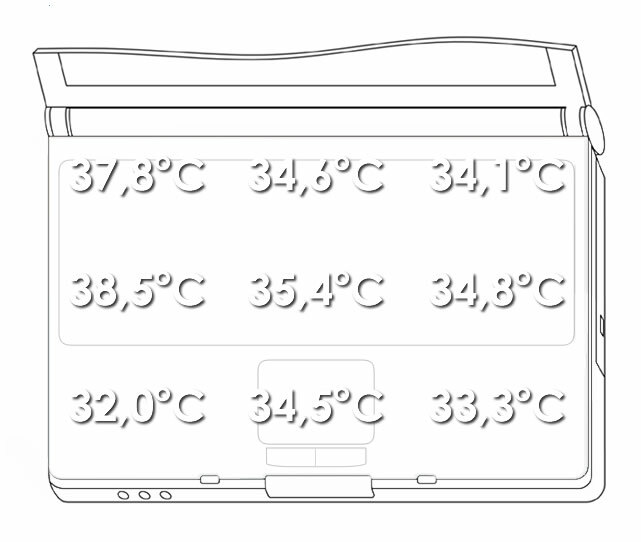 In turn, the case does not get too warm, allowing the user to put the Tecra M9 on his lap.